✔ 1050mAh battery capacity. ✔ 10W max output. ✔ Compatible with GS16S tank. 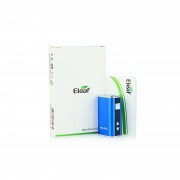 Eleaf Mini iStick is the small version of the original iStick. With a ultra small size, it is convenient to hold and carry. 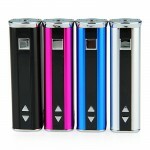 It has 1050mAh battery capacity and 10W max output. You can easily check the remaining charge with a battery display indicator on top. It is a great choice for vape beginners. ➤ 1. 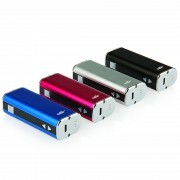 It has 1050mAh battery capacity and 10W max output. ➤ 2. Features adjustable voltage. ➤ 3. Easy to use with top LED digital display. ➤ 4. It is compatible with GS16S tank. ♻ 3 months for Mini iStick battery.